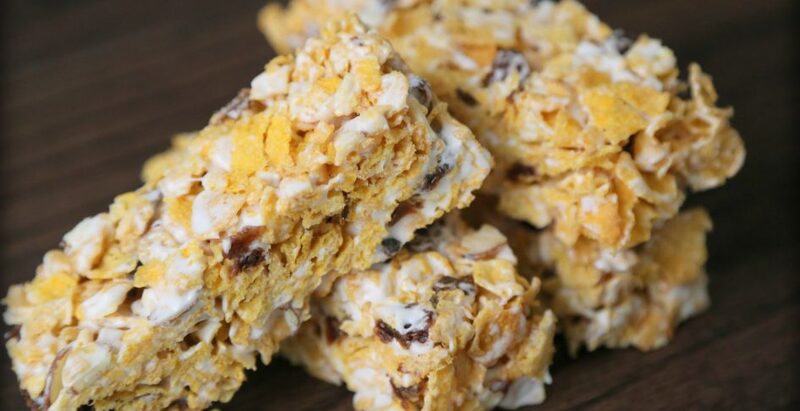 Enjoy the nostalgic taste of Rice Krispie Treats in a Cornflake Bar. Made with cornflakes, marshmallows, honey, almonds, apricots and raisins, this snack is flavourful and delicious. Comes in a Pack of 8 or Slab (15” x 21”).